A World Anti-Doping Agency commission is recommending that Russia should be suspended from international athletics following doping claims. A report published by the independent commission said the International Association of Athletics Federations (IAAF) should suspend the Russian athletics federation, while there should be lifetime bans for five Russian runners. It said the London 2012 Olympics were “sabotaged” by the presence of Russian athletes with suspicious doping profiles, and blamed “widespread inaction” by the IAAF, the Russian athletics federation and the Russian anti-doping agency for allowing these athletes to compete. If a ban was adopted by the IAAF, it would prevent Russian athletes from taking part in any IAAF-sanctioned events, such as the Olympic Games and world and European championships. The report “identified systemic failures within the IAAF and Russia” that prevent or diminish the possibility of an effective anti-doping programme. It said it had turned over “considerable data and information” to Interpol regarding its findings “which tends to demonstrate criminal conduct on the part of certain individuals and organisations”. 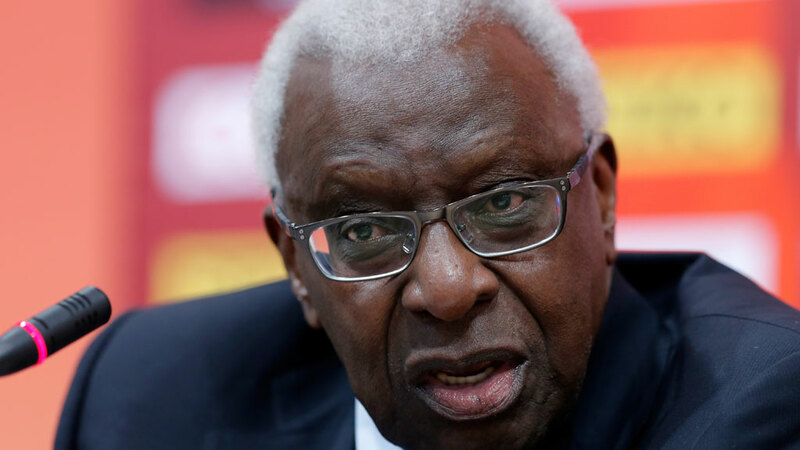 Before the report was published, the International Olympics Committee ethics committee announced that it was recommending that Lamine Diack (pictured above), who stepped down as IAAF president in August, should be provisionally suspended. The 82-year-old from Senegal is accused of being complicit in a cover-up of doping by Russian athletes. He, his son Papa Massata Diack, adviser Habib Cisse and the former IAAF anti-doping chief Gabriel Dolle are being investigated by French police. In August, Mr Diack was succeeded by Lord (Seb) Coe, who told BBC Radio 5 Live’s Sportsweek programme before the Wada report was published: “These are dark days for our sport but I’m more determined than ever to rebuild the trust in our sport. It is not going to be a short journey. Also speaking before publicatiion, one of its authors, Richard McLaren, told the Sunday Times it would be “a real game-changer for sport” and would demonstrate “a whole different scale of corruption”, even compared to the Fifa scandal. Fifa, world football’s governing body, is in turmoil turmoil after US indictments of 14 football officials and sports marketing executives for alleged corruption. Its president Sepp Blatter is suspended and facing criminal investigation in Switzerland.